I've lived in my ‘forever house' for around nine years now and even though we've done a lot of work to the house, it's still not 100% finished. Bathrooms need replacing, rooms need redecorating and some items need replacing! And as a huge interiors fan (didn't you know?) I'm always on the lookout for new items, especially if they offer value for money. 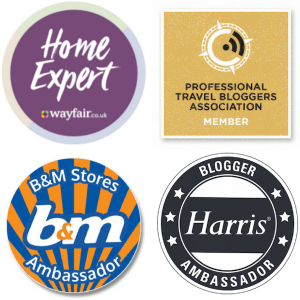 So as a panelist on Wayfair's Home Expert programme when they asked me if I wanted to take part in their ‘Blogger's Picks', it wasn't difficult to reach a decision. 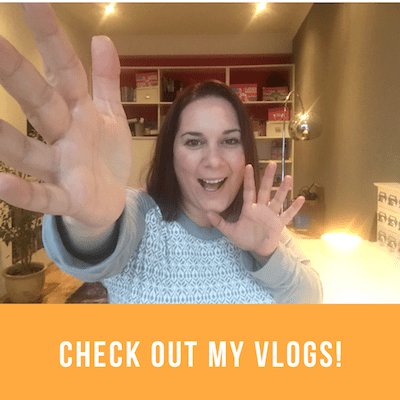 So below are my top picks from the company's extensive collection of products – and my explanations on why I love them or how they'd come in handy in my home! If you’re going to have an occasional chair, make it a statement chair I say! But I don’t just want one that looks good – it has to be comfy to curl up in too – and this one ticks all the boxes. Outdoor rugs are bang on trend – and I’m happy to jump on the bandwagon. I’m looking to create a ‘Turkish corner’ in my garden, so this reversible rug is a great idea and would be perfect to display a Turkish-style side table. Bedrooms should be your go-to place for rest, relaxation and comfort without compromising on style. So what better than a French style wardrobe that screams sophistication but is oh-so-romantic…I love this look! To go with the classy wardrobe on show in the bedroom, you’ll need a welcoming bed. I love this dark grey upholstered bed, which offers a nod to the traditional chesterfield style but would fit in effortlessly to all décor styles. And for that extra comfort factor – and to add a bit of contrast to the dark grey of the bed – this gorgeous ‘Diana Wool Throw’ would be just the ticket casually draped over the bottom of the bed. Ooh la la! I love the contrast of these pale pink seats with the dark wood legs, offering a mix of modern and traditional. They come in a set of two and are both practical and stylish. Ever heard the phrase ‘you’re only limited by your imagination?’ You could apply it to this ladder bookcase, which can be used not only as a bookcase, but in a utility room for laundry products, in a kitchen to display fruit and veg – or like me, in a bathroom to house toiletries and candles! If you’ve seen the planters that I picked from Wayfair and upcycled into door number planters, you’ll know that I love things with a dual purpose. 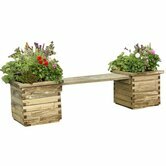 This wooden planter bench will display both your favourite blooms and offer a seat from which to admire them – a win-win! Do you have a similar style to me? 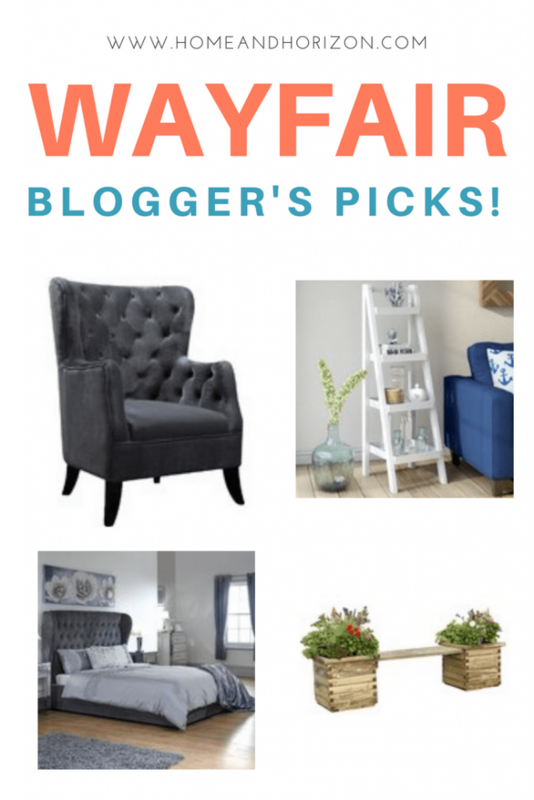 And what's your favourite Wayfair product from my picks? 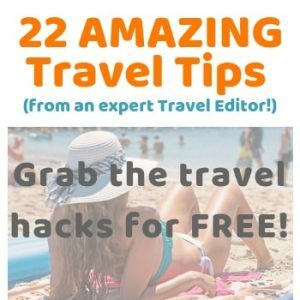 I'd love to read your comments! You and I have very similar tastes – I think I would have chosen every single thing that you have here! 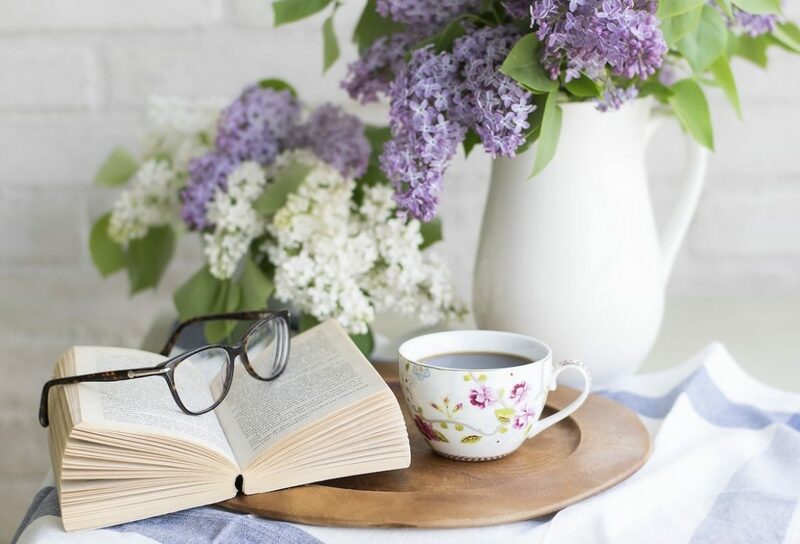 You are so deserving of being a Wayfair blogger, hopefully I will get a chance to be one sometime too – I’d love to be sharing some of their lovely things! What a lovely collection – never heard of them before! Thank you Bev – they have got some lovely items – and reasonable prices too! I love Wayfair – they have so much to choose from! They certainly do – thanks Tracy. When I go online I’m usually browsing for quite a while looking at their vast selection of goods! There’s usually something you always need isn’t there? Or something that needs replacing. Best of luck with the decorating! You’ve chosen a lovely selection of items. 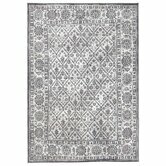 I’ve never shopped with Wayfair before but from the look of it they have some great home products. Love the planter, that would work in my garden. They’ve got some great products Melanie – and soooo much choice. You’ll be browsing for a while! A fellow fan – that’s great! Yes, they’re very good aren’t they! It’s difficult to choose a favourite so I’m going to pick two! I love the wingback chair and the wool throw and could definitely find a place for them both! Thanks Emily – the chair looks really comfy doesn’t it? And in winter that throw would come in handy! You have picked out some gorgeous pieces! I love the flower each its so cute! Don’t they just. 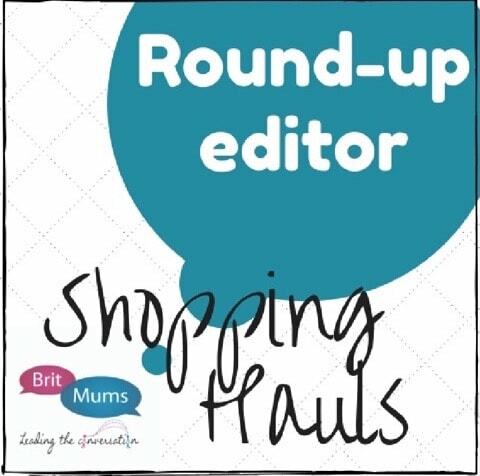 I can spend hours pouring over their products – and at great prices too. It’s so nice to add a few pieces to your home to give it more of a cozy feel! These are lovely items that you picked! I love the bed! It’s really stunning! Thanks Alison! I love the wing-back beds (and button detail) – even better if they have storage too. Oh I love so many of these, the rug, that throw and I love the ladder bookcase, I really want one of those. Great picks. 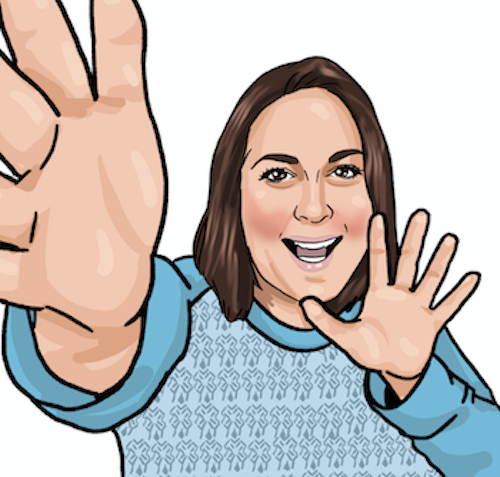 Thanks Nichola – good to know I chose some good ones! Very nice selection you’ve chosen for your home. It’s a great idea isn’t it? Especially for the outdoors if one side gets a little dirty. That reversible rug looks amazing. A great way to change up the style of a room. Definitely – I think we’ll see this trend develop further. I’ve always admired them too. Luckily they don’t take up too much space. Ooh I have never heard of Wayfair before! 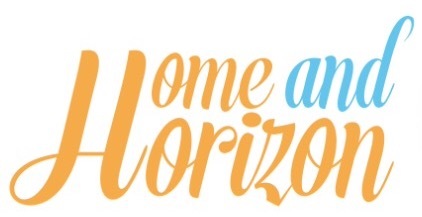 They have some lovely products and I’ve just had a look over and found so many things that I would love to have! 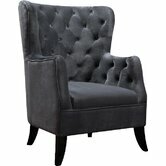 Wayfair really do seem to do some amazing products, I love how they cover all different price points as well. That planer bench you have included I have just the spot for in my garden. Thanks Sarah – glad you saw something you liked from my picks! I think the chair has got to be my favourite though.